If you have dived into any of your September magazine issues then you already know that one of the hottest trends this Fall season will be military inspired pieces. SC loves this trend because it reminds me of being in ROTC back in high school. A few of us used to wear our pea coats on our off days because they were just that cute. 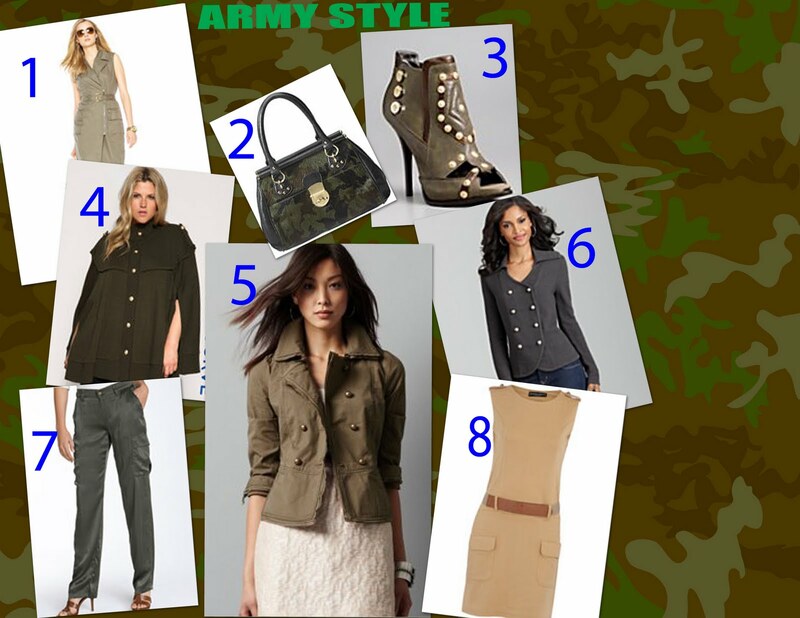 Now that times have changed a better way to incorporate the military trend into your wardrobe is by pairing a military style trench or cropped jacket over a frilly or girlie dress. An array of plus size lines are making sure that they incorporate this trend for their curvy customer. SC is in love with ASOS’s military style cape and we love CJ by Cookie Johnson’s silk cargo pants. If you are looking to wake up your wardrobe a little bit or just to find a new way to wear some of your basic pieces, a military style sweater or jacket will do the trick.